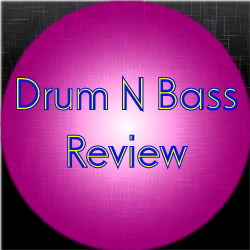 This review covers the Drum N Bass track Cyantific – Don’t Follow (Feat. Diane Charlemagne). This track was released 2006 on the album Ghetto Blaster. One thing about this track is that this track is quite a laid back one. No one element really sticks out, but everything sort of flows into another in some form or another. There’s some vocals in this track as suggested by the featuring tag. While there are lots of good points in this track, I think there are some occasional moments where the vocals could be pulled back a little as they occasionally dip into the realm of being overpowering. The melody towards the end was interesting and it did add some interest to the track. Overall, while there wasn’t a whole lot for me to say about this track, it was still a good track. Definitely a good track to listen to if you want a fast-paced drum n bass track that is somewhat tame.